Las Vegas is often known as a place for quick marriages. As a result, Nevada courts do see their fair share of annulments. However, it is important to understand the difference between annulment and divorce. Not all marriages are eligible to be annulled, and even if your marriage fits the criteria, other issues may preclude an annulment completely. Understanding the criteria for both is a critical part in ensuring you achieve the most satisfactory outcome. 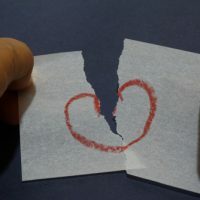 The major difference between divorce and annulment is that while both serve to end a marriage, only annulment treats the marriage as if it “never existed.” When a couple divorces, they are left with some demonstrable legal rights vis-a-vis each other. If your marriage is annulled, you generally have no rights of any kind going forward with regard to your ex-spouse’s assets or actions. The other major difference is the type of evidence required to obtain an annulment, versus what is required to obtain a divorce. Most of the historical grounds for divorce have been abolished under Nevada law, the main ground for divorce nowadays is simple incompatibility. For annulments, however, you must be able to show that your marriage was either void or voidable from the beginning. Most laymen are totally unaware of the differences between void and voidable marriages, but these are the marriages that are eligible to be annulled. It is not possible to just annul a marriage simply because you change your mind about wanting to be married. Some integral part of a marriage must be missing, in other words, a lack of understanding or consent, or fraud. If one or more of these conditions occurs, your marriage may be held voidable; if your marriage turns out to have been precluded from the start (for example, if one spouse was already married at the time), it will be declared void. In Nevada, people tend to seek an annulment for reasons which result in voidable marriages, meaning that a marriage occurred but it is not a marriage covenant which can be upheld or enforced. The most common reasons to assert that one’s marriage is voidable are: (a) that some manner of fraud induced the marriage – in other words, that the marriage would not have occurred if the fraud had not been perpetrated; (b) that there was a lack of capacity, meaning that one or both parties were legally barred from consenting to the marriage (usually due to age, infirmity or temporary incapacity, i.e., being drunk); and (c) incompetence or “want of understanding,” meaning a lack of comprehension of the marriage. If any of these can be proven, an annulment will likely be granted with little delay. Given Las Vegas’s status as a town where quick marriages happen often, it is not surprising that annulments are fairly common. Still, if you find yourself in a place where an annulment is necessary, contacting an experienced attorney can be of great help. The attorneys at the Kainen Law Group are ready, willing and able to assist you. Contact us today to set up an initial appointment.